hd00:21BANGKOK - JANUARY 29, 2018: Heavy rush hour traffic in Bangkok on january 29, 2018 in Bangkok, Thailand. 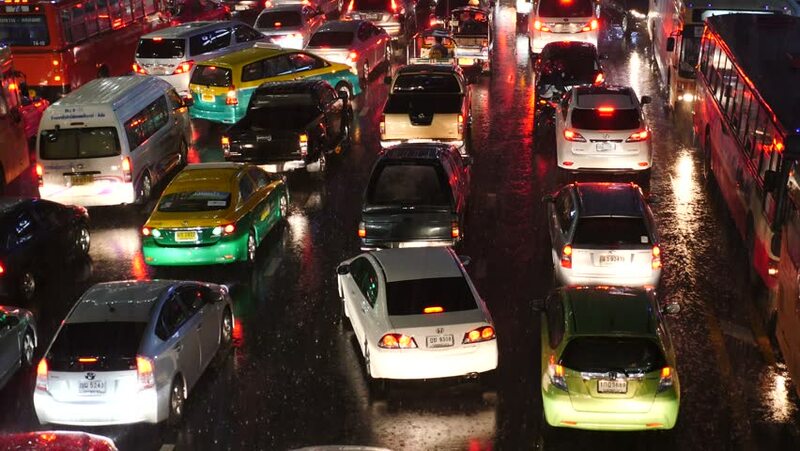 4k00:10BANGKOK, THAILAND - 18 DECEMBER, 2018: Cars in a traffic jam on the road of the overpopulated asian city of Thai capital at night. yellow and red electrical lights, tuk tuks, buses. hd00:20BANGKOK, THAILAND - APR 8, 2016: Traffic jam in the rush hour near the Siam BTS Station (Central Station), in the evening. hd00:11Bangkok, Thailand-June 23, 2017: Traffic jam in Bangkok.